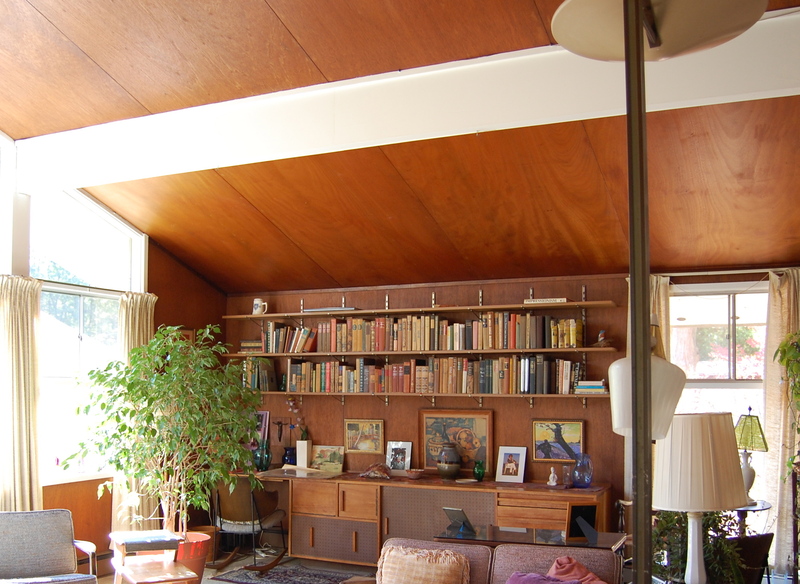 In the home of my childhood (photo above) there were hundreds of books. If I recall correctly, my sister once tried to count them and there were over 2000. While this isn’t so many when compared to a public library, it was quite a lot for a home in the 1960s-70s. I was never in another house that had a collection like the one my father amassed. Our home didn’t have a room designated as a library. Nor were there many book cases. 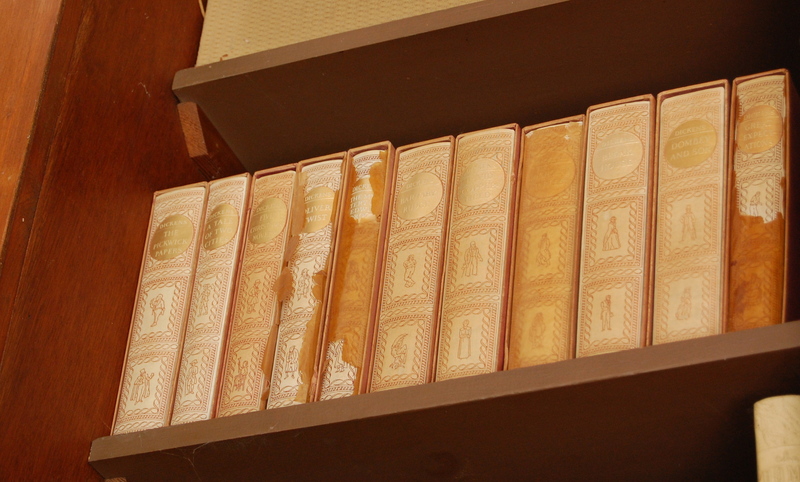 To shelve the books, my father vertically mounted lengths of metal strips on a wall. Fitted into the strips were arms that held planks of wood that my father had cut and painted. They were one foot deep, varied in length, and were one inch thick. You might see such shelving in a hardware store. 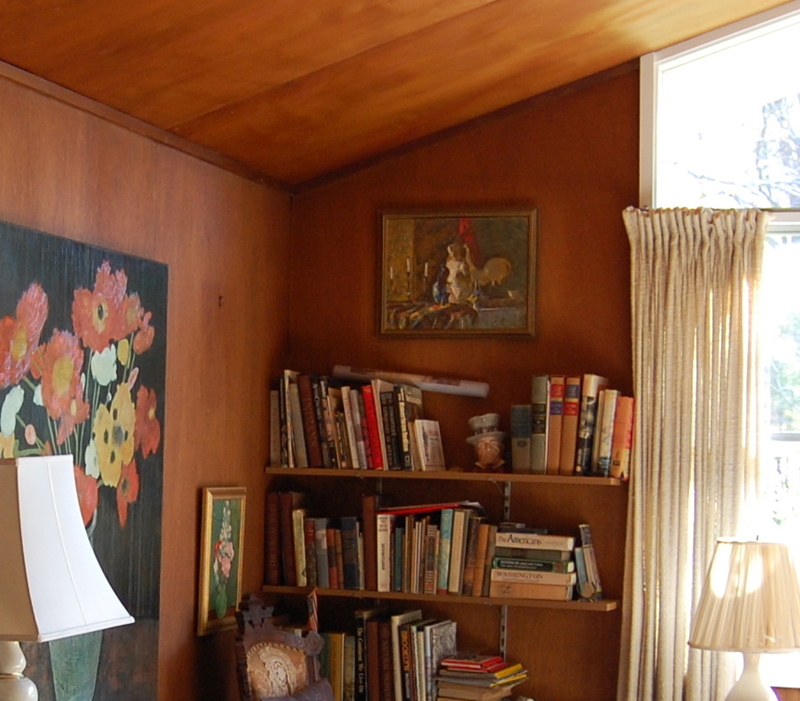 But in our contemporary home, his book shelving worked esthetically with the geometric lines of the house (see photo above). And, in any event, once the books were on the shelves, it was to the books the eye went, not the shelving. Our bedrooms had the same shelving. While the house was packed with books, it didn’t seem cluttered by them. And the books were arranged by topics. The corner shown below once held only books about the American Civil War. High on a shelf in the living room was a collection of Charles Dickens’ work. In addition to the books, we had years’ worth of both American Heritage books and National Geographic magazine. These, if I remember right, were shelved in a stairwell. Over time, the full length of the twenty-foot hallway to the bedrooms was narrowed by about 13 inches when shelving was installed for books. Of my five older siblings, four were avid readers. The fifth was well read, but was not a constant reader like the others. With purpose, my parents didn’t bring television into our house until I was perhaps 12 years old, and then with very limited watching allowed. So this older group of siblings grew up with books as their sole source of rainy day entertainment, warm summer afternoon escapes, and down-time brain food. They read the Hardy Boys and Nancy Drew, all Mark Twain’s fiction, and Jack London’s. One brother had a habit of eating apple after apple as he read, tossing the cores under his bed. Another brother, at age 15, would smoke a pipe with cherry-blend tobacco as he read. My parents tolerated these eccentricities as long as they were reading. Had I been the slightest bit a reader in my younger years, I’m sure I could list lots more of what was available on the shelves in my home. But I wasn’t yet a reader. Though not for my parents’ lack of trying. It was my father’s habit all through the years to do his Christmas shopping for us on Christmas Eve and at one store, the local bookstore, where he’d spend hours of the afternoon before Christmas (as well as spend a small fortune) picking out and purchasing books for us. 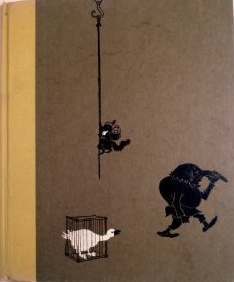 I know he thought he’d struck it right with me the year he gave me Dwarf Long-Nose by Wilhelm Hauff, illustrations by Maurice Sendak. I was probably eight years old then and my father was trying to somehow get my brain to latch onto the world of imagination that I could access with books if I’d just find a way in to them. Through the months that followed him giving me that book, he’d now and then gently ask me, “Have you finished the book yet?” He’d smile in defeat when I’d timidly reply, “Not yet.” I was his little reading misfit! The truth was, I started the book at least three times during the next year. But I’d get to a point where it scared me and I had no desire to continue. The story actually terrified me, as did that sensation of fully entering, of falling into, the world created by an author. I was afraid that by falling into it, I’d never return home. I must have been a literal child. The book seemed all too real. I still have this unfinished book in my box of treasures from my childhood. Heidi by Johanna Spyri was the first book I voluntarily read cover to cover, I’m sure much to my parents’ relief. I remember being anxious for much of the book. Heidi was just a tiny child (age five) and her parents had died and an aunt was now taking her to live with her not immediately pleasant grandfather, who she really didn’t know. Still,this book acclimated me to the sensation of “getting lost” in a book, while still being able to return home. That was a huge hurdle for me. But it would be some time before I hit my stride in reading. That’s my wish for my first house, a library. I love the look of these. I hope you someday do have a library in your home or every room in your home holding some books!